I was born Sept. 2, 1946, third son of Melvin and Mary Bloom. Here is a recent family picture (Christmas 97). I have four brothers and one sister, Melanie. Her first granddaughter Rachael was born oJanuary of 1997. While in Peru I helped found the Mary Bloom Center. 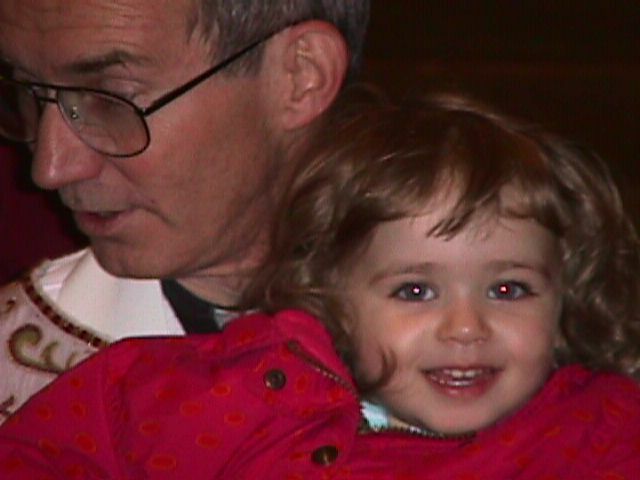 From 1995 - 2009 i was pastor of Holy Family Parish in Seattle. It is a great assignment: a medium size bi-lingual, multi-cultural parish in one of the most interesting neighborhoods of Seattle. 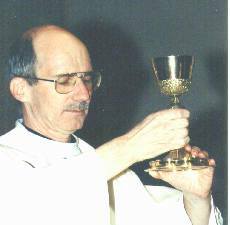 Altho I am currently the only full-time priest, Fr. Richard Gallagher helps on weekends and I have a great staff. Holy Family Parish has always encouraged vocations to the priesthood. This past year a seminarian of the Archdiocese, John Ketzer, has been living here in the rectory while he does his pre-theology studies. Also Armando Perez has been with us again this summer. In the fall he will be doing theology studies at Sacred Heart Seminary in Hales Corner, WI and John will be at St. Patrick's Seminary in Menlo Park, CA. There are three other young men from this parish who are seminarians for the Archdiocese or applying to become seminarians. This was a wonderful parish to be pastor. God willing and with Archbishop Brunett's approval I will be here many years. P.S. Some have asked what seapadre means. It is short for "Seattle Padre." Also refers to enjoying crabbing, fishing, etc.